This is a very easy pattern. It consist of 6 steps and is only 1 page long. Feel free to use your own choice of beads. 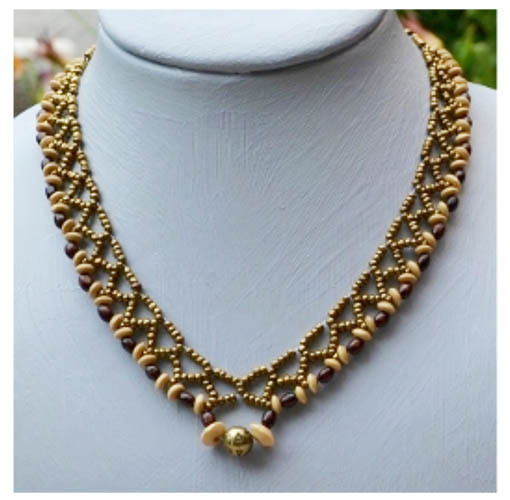 The rondelle beads do give the pattern an interesting effect and is recommended. You might prefer to use crystal rondelle beads.